But for now, a little mighty crab restaurant which has been around for some time. 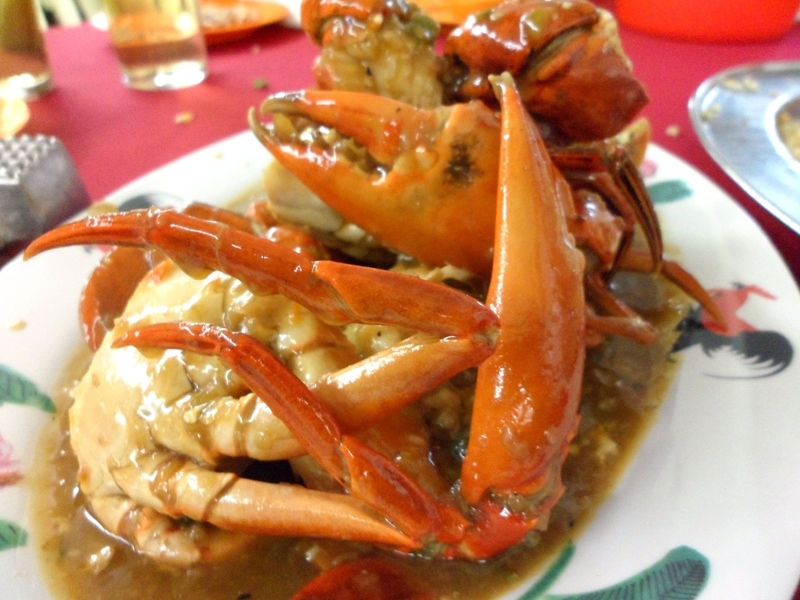 I would like to bring your attention to Fatty Crab. 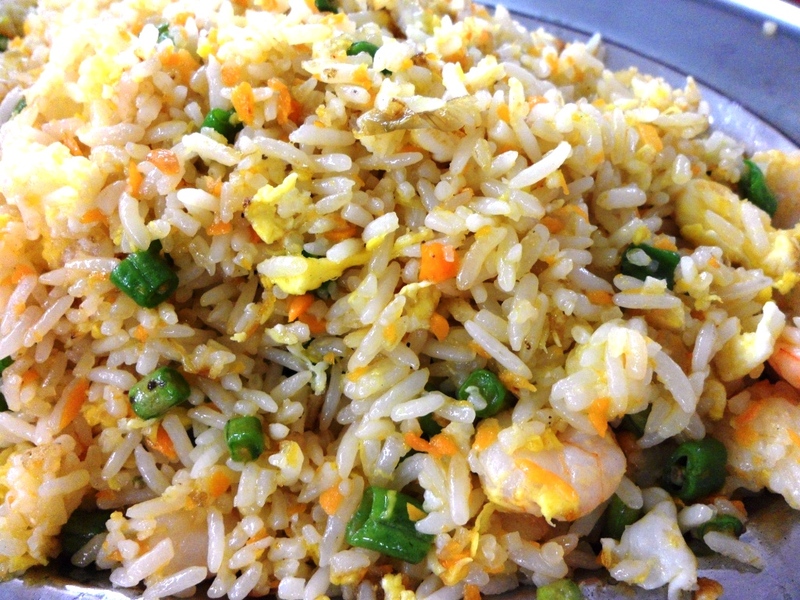 For those who live around PJ, this restaurant is quite famous. I have even seen groups of people hiring bus to drive to this restaurant from either Penang, Seremban or Johor, just to taste it. One thing you should note is that this restaurant is ALWAYS crowded. It doesn’t matter if you go on a weekday or weekend. My advice is, be there before 6:30pm !!! OR, you wait… it continues to stay crowded even until 10pm !!! I kid you not. Most people who come here order the sour and spicy crab. This is the restaurant’s speciality. Personally, I prefer their steam crab. The meat is always so fresh and sweet. (plus my fingers stay cleaner ;p). 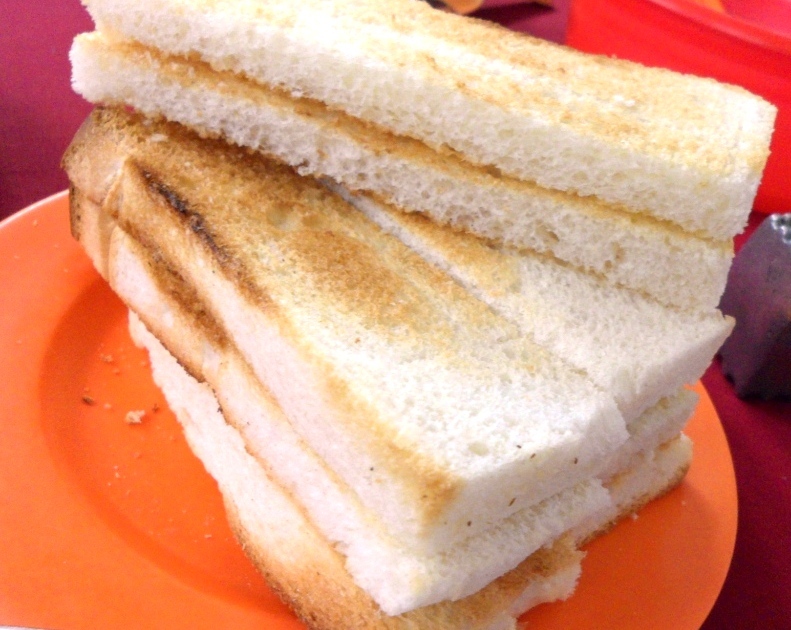 But, I LOVE the sour spicy sauce on their Roti Bakar (Toast hainam bread) and the Fried Rice. yuuummmmz. We normally request for extra sauce just for dipping in our bread. 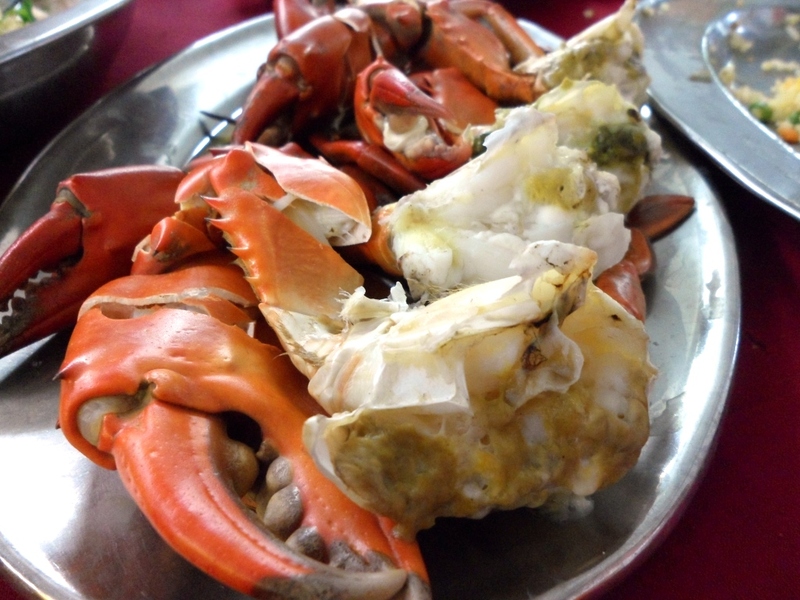 Aside from crab, there also other dishes on the menu. But, not much variety. That night, we ordered the steam fish. The fish texture was a little on the soft side, not my kind of fish. (Not sure what fish that was). I prefer firm meat fishes. ;p But, the soup was really nice. Mom say it’s the teo chew style. nice… Sweet and sourish.